Titan Trade Invite a Friend: Spread the Good News! We at Titan Trade, highly appreciate your efforts for recommending our trading services to prospective new clients or even those who are simply interested with the online financial trading market. Now you know that binary options trading can be extremely rewarding, it’s time to share your newfound source of revenue with other people as well. 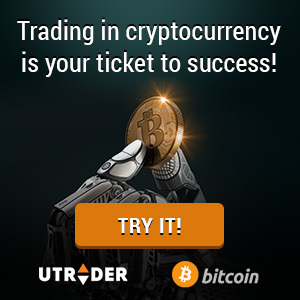 By simply introducing our trading platform to potential customers, you’re giving yourself a chance to earn extra profit. With the Titan Trade Invite a friend program, you’ll receive an incentive for every successful referral that you make at our site. Each time you’re able to make a friend sign up and make a deposit at Titan Trade, a generous amount of Titan Trade bonus cash will automatically be credited in your trading account. Titan Trade Invite a Friend program is an exciting way to share the lucrative benefits of binary options trading with your friends. The best part about this is there are no limits on the number of friends you can refer! The more successful recommendations you make, the more bonuses you’ll receive! Let your friends experience all the powerful features of our trading platform that offers the most rewarding payout rates in the market. Click here to join Titan Trade’s Exciting Invite a Friend program! If you have friends, family members or colleagues who are interested with binary options trading and our trading services in particular, then give us their contact details and we will send them an invitation to sign up for a live trading account at our site. Just keep on sending referrals and if any of them gets interested, you’ll get an instant referral bonus! Remember, there’s no limit on how many referrals you can make so if you keep on making successful referrals then we will continue to reward you with bonuses! Hurry, invite your friends today and get rewarded for your loyalty!